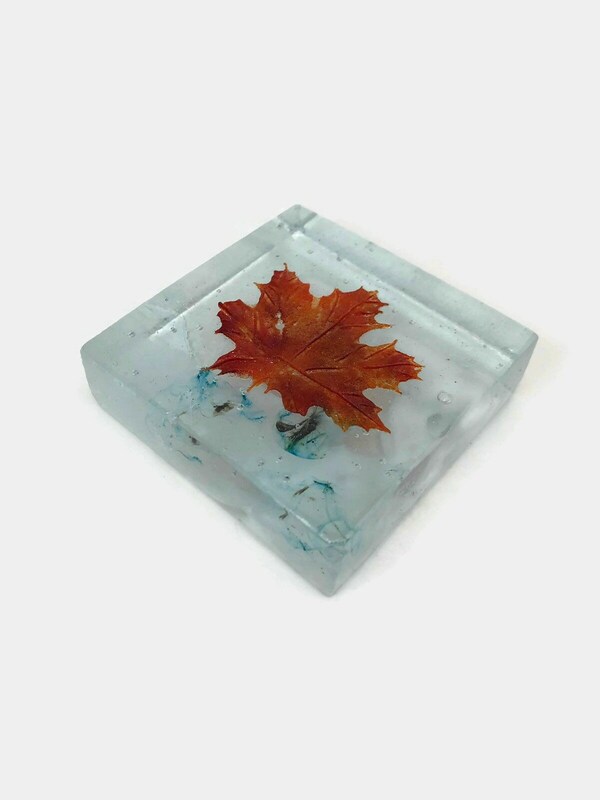 Bring nature inside with this amazing handmade fused glass paper weight with a handmade glass maple leave. 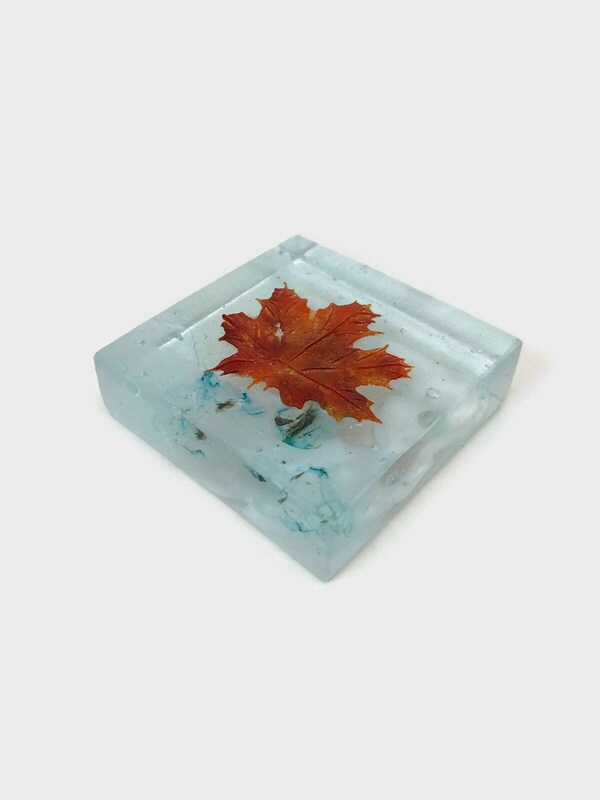 These paper weights are limited edition and are only avalible for Canada's 150th! 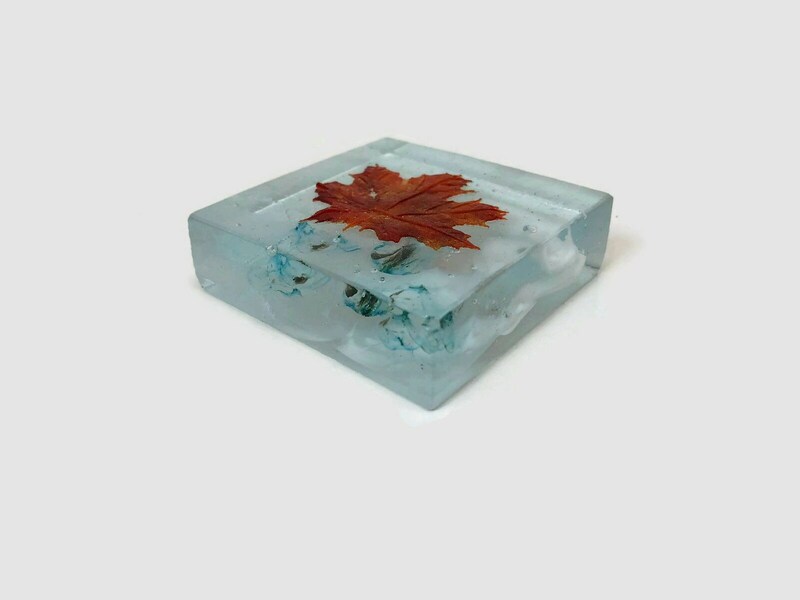 It took almost 100 hours of kiln time to make. 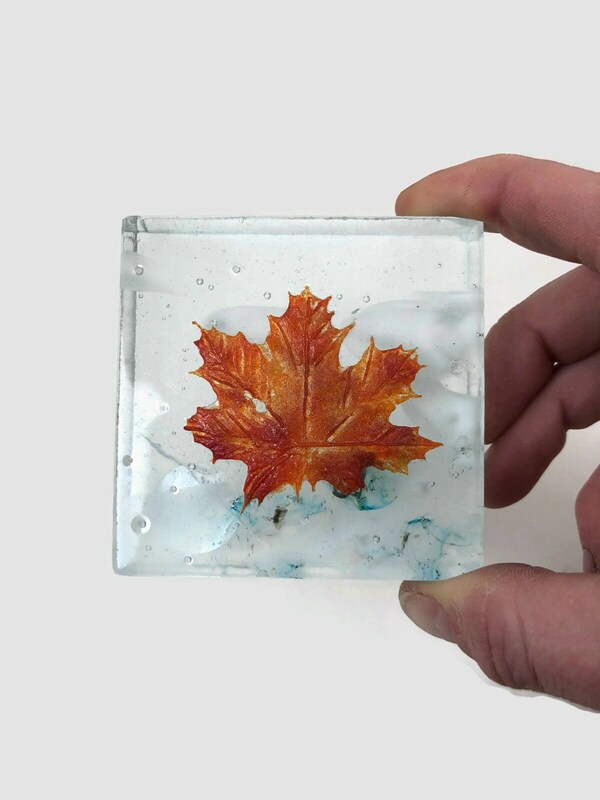 Each maple leaf is unique and no two are the same! SHIPPING: Your package will be shipped via Canada Post letter mail if you'd like to upgrade to include tracking please make this selection a checkout.